Have you ever tried listening to a podcast? Almost half of Americans have.1 In fact, the number of podcast consumers listen to has increased by six million from 2017 to 2018!1 So what’s all the buzz about? There is so much to love about podcasts: they’re free, accessible anywhere you can take your smart phone and cover a variety of need-to-know topics. Tune in on your way to work or while you cook at home and you have interviews from your favorite TV star to how-to’s on meditation. And did we mention they cost absolutely nothing? If that last point sold you, chances are you care about budgeting and saving money. Maybe you’re just figuring out how to balance your monthly budget or you’re well versed in ETFs and IRAs. 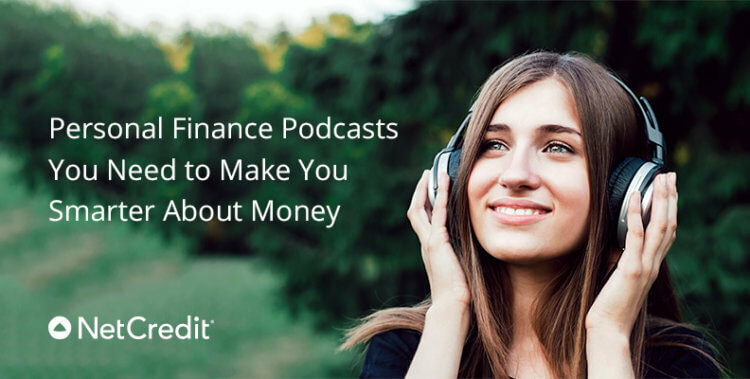 No matter the status of your knowledge base, podcasts can help you get acquainted with financial terms and phrases so you can understand personal finance better. You’ll see how those terms fit into the finance world as a whole, and more importantly, how you can leverage that knowledge to improve your finances. Choose your next podcast from the options below, start developing your understanding of personal finance and become a better budgeter! Clark Howard Podcast: Howard’s approach to money is all about saving more and spending less by cutting through all the nonsense. He specializes in consumer-based finance and talks about topical trends and things that matter now. Listen, Money Matters: Billed as “not your father’s boring money show,” Andrew and Thomas discuss the biggest areas of personal finance (budgeting, investing, paying off debt, income-growth) like it’s just two friends catching up over coffee. It’s a great way to introduce yourself to tough topics in a non-intimidating way. You Need A Budget (YNAB): This blog-turned-online-tool supports its budgeting site and system with a quick podcast, covering — you guessed it — the basics of budgeting. This podcast manages to go in-depth during its short episodes without getting too heavy or hard to understand. Paired with the site, YNAB provides a well-rounded approach with unique support tools. Planet Money: This is one of the longest-running podcasts under the NPR umbrella and for good reason. Planet Money breaks down complex economics into easy-to-digest examples and stories, so even the most novice of listeners can understand. Your Money Briefing: Supported by the Wall Street Journal, this podcast provides brief snapshots into today’s economic issues and current market trends. This insight into the global markets can bring perspective to your investments, retirement strategies and more. So Money: Farnoosh Torabi, award-winning financial strategist interviews big names like Arianna Huffington and Tony Robbins to uncover their personal journies to success, stories of financial wins and failures, and critical things learned along the way. Friday episodes are reserved for calls from her audience, providing answers to your need-to-know questions about money. HerMoney: Financial journalist Jean Chatzky hosts this interview-based podcast that deals with money issues from a female-centric perspective. Whether or not you’re the caretaker, breadwinner or a mix of both, this funny yet compassionate podcast has plenty of expert advice. Bad with Money with Gaby Dunn: Hosted by New York Times best-selling author Gaby Dunn, Bad with Money covers topics that you really want to know about but are uncomfortable talking about. Dunn, a self-proclaimed queer feminist, takes a no holds barred approach to finances. Podcasts are an easy way to absorb new knowledge and improve your life without having to spend too much time or effort finding the information. That being said, podcasts can have bias and they aren’t a replacement for a financial planner. Keep context in mind when listening to these podcasts and when in doubt, do your own research or consult with a professional.